Everyone loves to laugh. Laughter is the joy and the spice of life. But over time, “laugh lines” can appear that detract from the youthful vigor of your appearance. You should have the confidence to know you can live your life fully, completely, and with all the happiness and vitality that goes along with a bold and musical laugh – but without having to suffer from laugh lines. Now New Jersey residents can have this confidence with the Restylane Fort Lee and Hoboken men and women have been talking about! What is the Restylane Treatment? Restylane® is an effective and non-invasive procedure designed specifically to naturally restore the supple fullness of skin, lips, and eyelids and therefore eliminate laugh lines, also known as nasolabial folds, wrinkles, and eyelid bags. Restylane can also be used to reduce and eliminate acne scars and skin scars. The magic is all due to something called hyaluronic acid, which naturally occurs in your skin and is what gives it its fullness and elasticity. Over time, skin can lose its hyaluronic acid and collagen, thus resulting in the wrinkles and folds associated with aging. But the Restylane treatment resupplies the skin with this essential component and rebuilds collagen, restoring the smooth and youthful look that reflects the true you. Restylane treatments tend to reduce wrinkles by about 80 percent, although these results are semi-permanent and do require follow-up treatments. How can Restylane help me to look better? Essentially comprised of hyaluronic acid in a clear gel formulation, Restylane is administered as a simple injection that results in no down time or recuperation period. It adds volume to the laugh lines around your mouth, the wrinkles of your crow’s feet and forehead, filling them in and giving your face a fullness that can erase even severe facial wrinkles. It can also add volume to lips, sculpting and pouting them and reducing the effects of age and smoking. Because Restylane is designed to perform just like your body’s own hyaluronic acid, the body accepts it as a natural component, producing a very natural appearance with minimal to no downtime. And there are some permanent results with repeated injections. Ideal for patients ages 18 to 70, Restylane is usually performed using local anesthesia. The procedure can take from 10-20 minutes, but sometimes requires only a few minutes. It is a perfect option for patients that have found chemical peels and microdermabrasion ineffective in reducing their deep wrinkles or laugh lines and for those patients not wanting surgery to look younger. Restylane patients can return home immediately after their treatment or resume any other normal activities they wish. There may be some swelling or other side effects as the body becomes accustomed to the surge in youth-renewing hyaluronic acid, and this may last for two or three days. Afterward, the reduction of laugh lines and a new, more carefree appearance will ensure new confidence each time you look in the mirror. Why should I get Restylane at Fort Lee MedSpa? 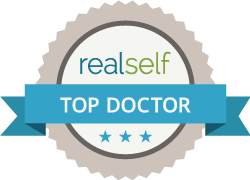 At Fort Lee and Hoboken Cosmetic & Laser Centers, medical director Dr. T.G. Khan instills confidence in every patient due to his considerable training in both surgical and non-surgical cosmetic procedures. Having completed his fellowship training in Oculoplastic and Reconstructive surgery with Outstanding Merit, he is a bonafide expert in several of today’s most popular cosmetic injections and laser treatments. His additional training in aesthetic lasers for many more cosmetic procedures ensures that Dr. T.G. Khan’s expertise is as well-rounded as it is thorough. With the knowledge and ability to recommend the perfect procedure for your individual needs, Dr. T.G. Khan is the one aesthetics-conscious women in Fort Lee and Hoboken turn to again and again. Call Fort Lee and Hoboken Cosmetic & Laser Centers today at 201.313.8899 to set up an initial consultation. You’ll be happy you called.